Ride Revolution, indoor cycling studio, partnered with MovEd Foundation to host, Ride For A Cause -- an event that was both incredibly fun and meaningful. Two unique spin classes were held in their Greenbelt 5 branch, where DJ Patty Tiu played live for two rides that were each taught in tandem by 2 instructors. 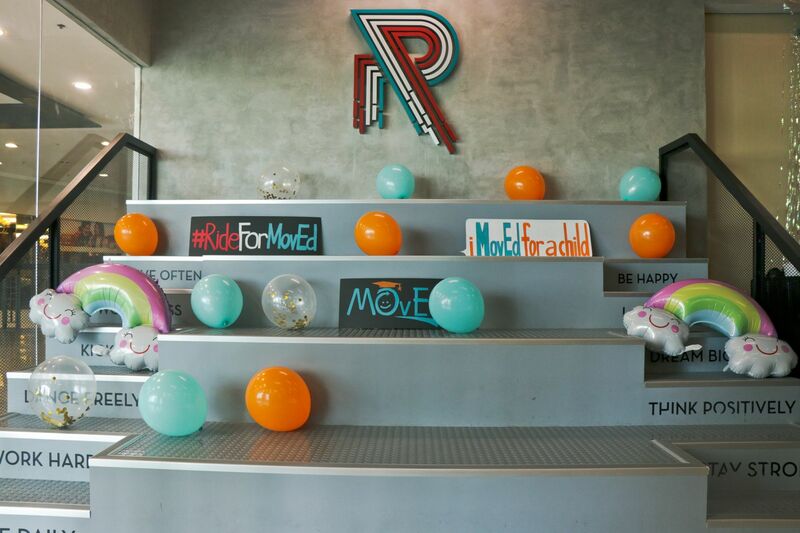 Friends, fans, guests, family and health enthusiasts gathered on Sunday for the 3pm and 4:15 classes, in order to #RideForMovEd. Everyone who participated had a fruitful day, spending their time making a difference in the lives of children. The studio was decorated in bright playful colours, filled with balloons and food and drinks provided by Berde Bowls, Starbucks, BLK 513 and Mogu Mogu! The music blasting and laughter roaring kept the energy levels high, with smiles beaming all around. Each rider was able to go home with a loot-bag that included treats from Vita Coco, Belo Essentials, Philippine Tatler and Hey Threads. If you missed this event, make sure to sign up for the next one! Cristalle Belo-Pitt Managing Director, The Belo Group Dr Vicki Belo’s elder daughter helps run the family business as the Managing Director of Belo Medical Group. Alex Madrigal Eduque Founder, MovEd Foundation Alex founded Moulding Optimism and Values through Education (MovEd) in 2012.